This post was sponsored by Mitzi Lighting, but all opinions are my own. Hi friends! 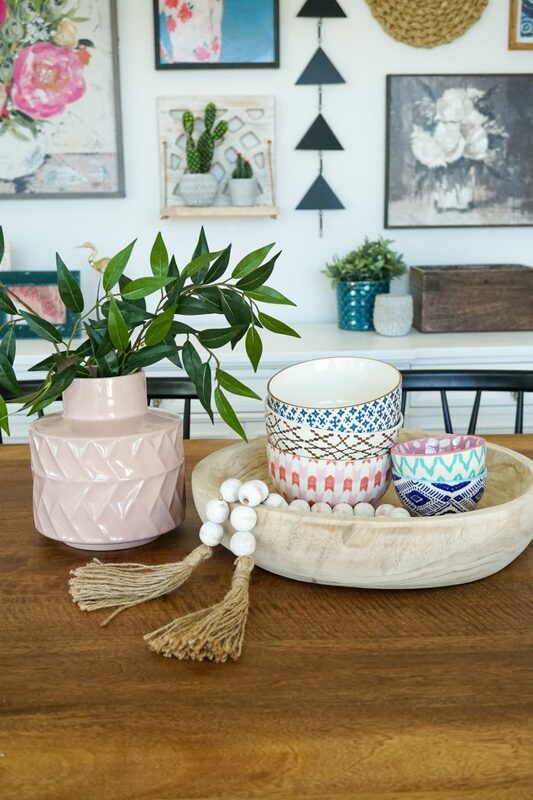 So…it’s been a little over a month in our new home and we are getting all settled in and I want to share my Dining Room Makeover with Mitzi Lighting. 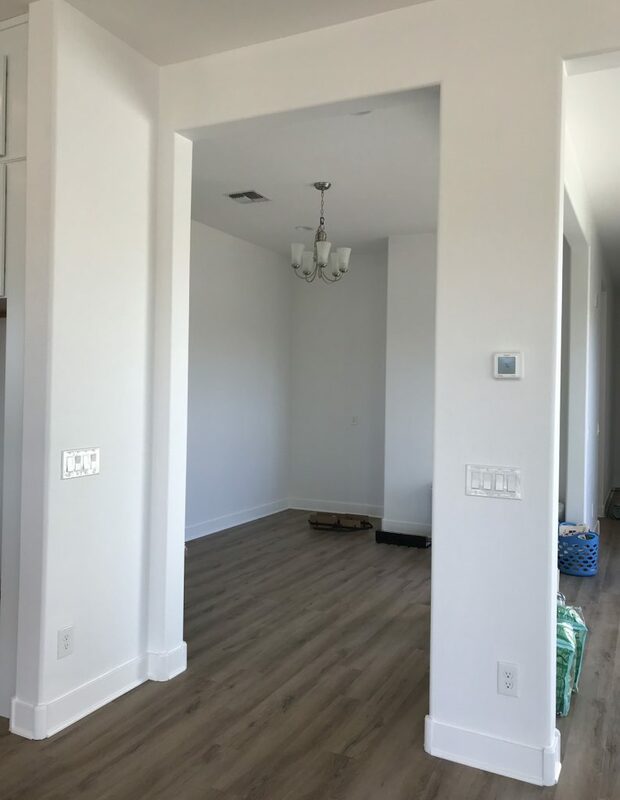 One area that I held off picking options through our builder was lighting. 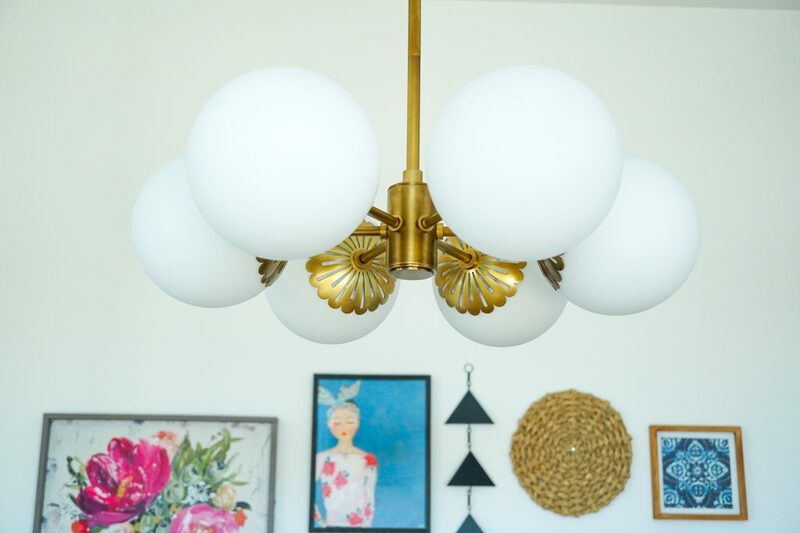 I didn’t want the same lighting package for our entire home…I wanted to pick out the fixtures per room. 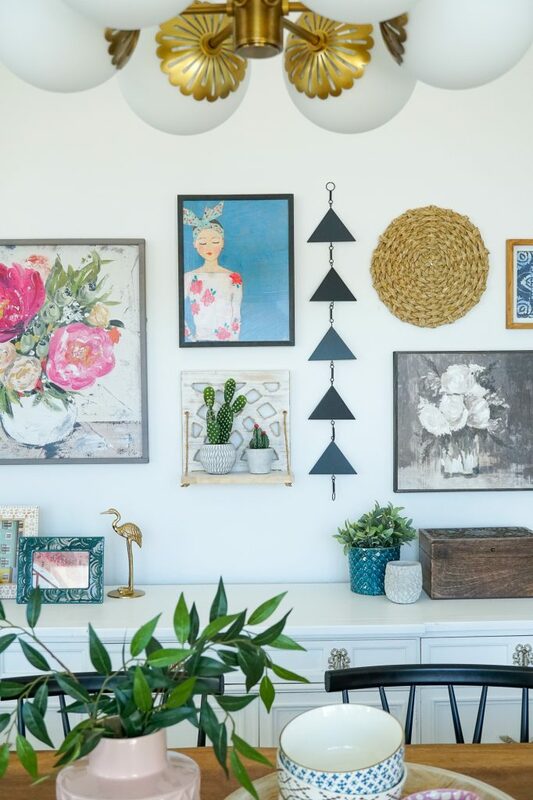 This is an area in design that you can add some really fun personality to your space by just swapping out a fixture. 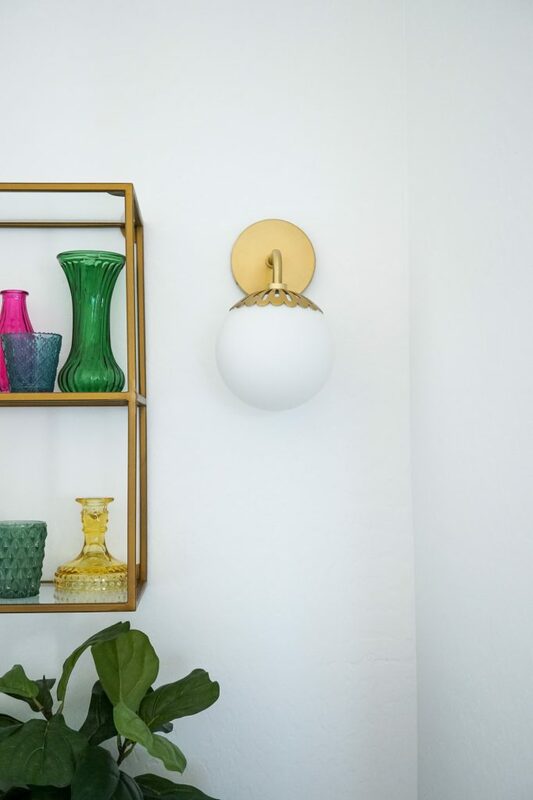 An amazing lighting fixture is like adding the perfect accessory to your outfit! 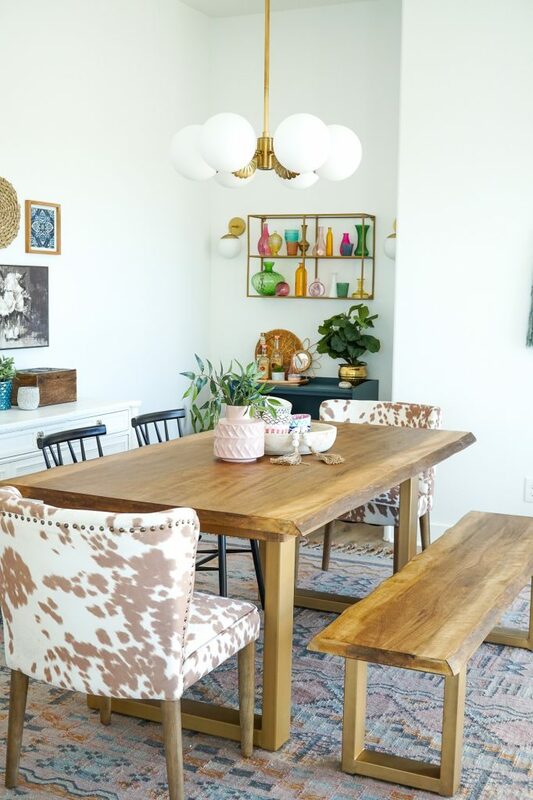 I looked EVERYWHERE for the perfect fixture for our dining room and when I came across the Paige Chandelier from Mitzi by Hudson Valley Lighting, it was love at first sight! 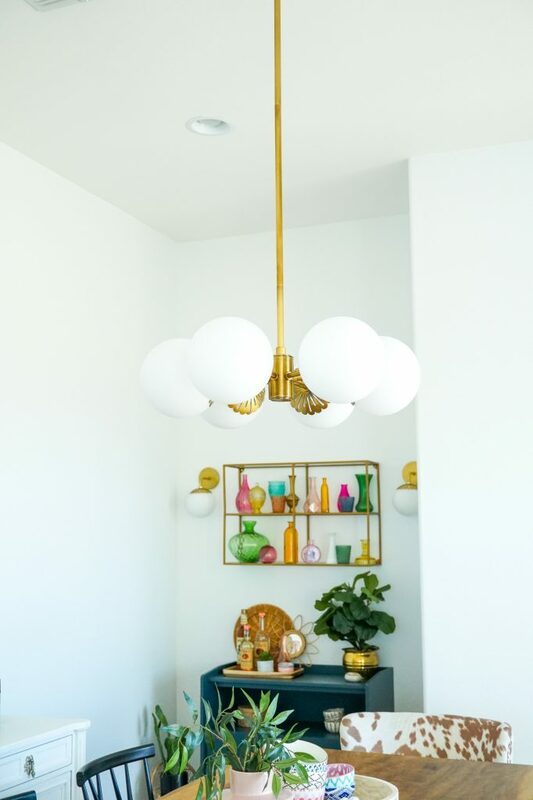 I mean…opal glass globes, brilliant aged brass finish and the gorgeous canopy detailing, I knew I needed this fixture for my space. 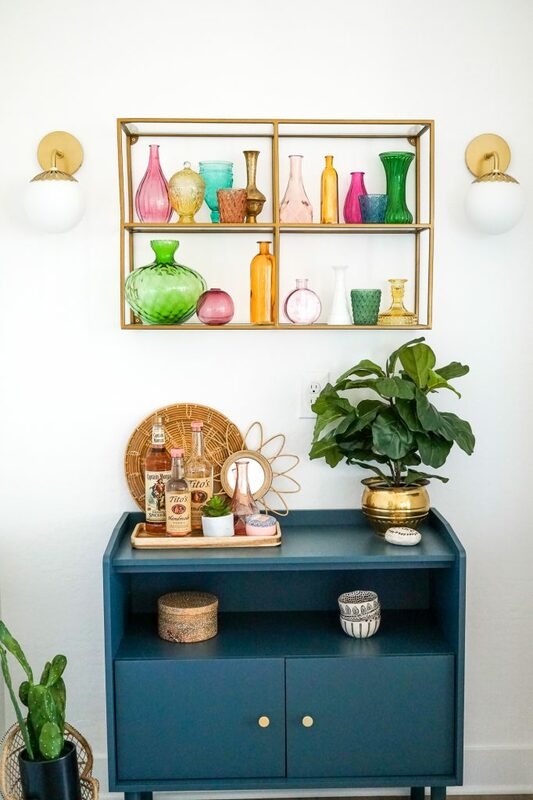 I wanted my space to have a collected feel with some vintage, boho style and this fixture was the one to make that happen. 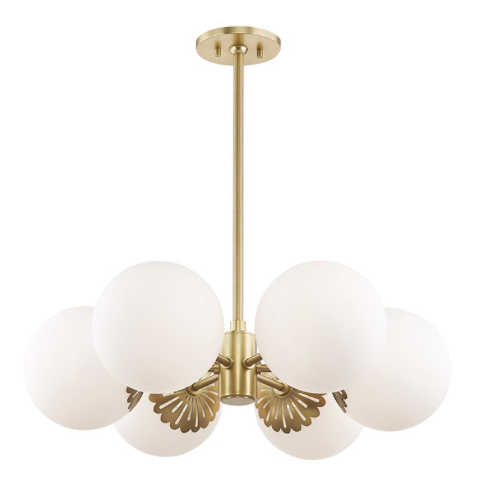 Can you see why I fell in love with this fixture? Then, for the other area of our dinging room, I created this corner with some entertaining in mind. 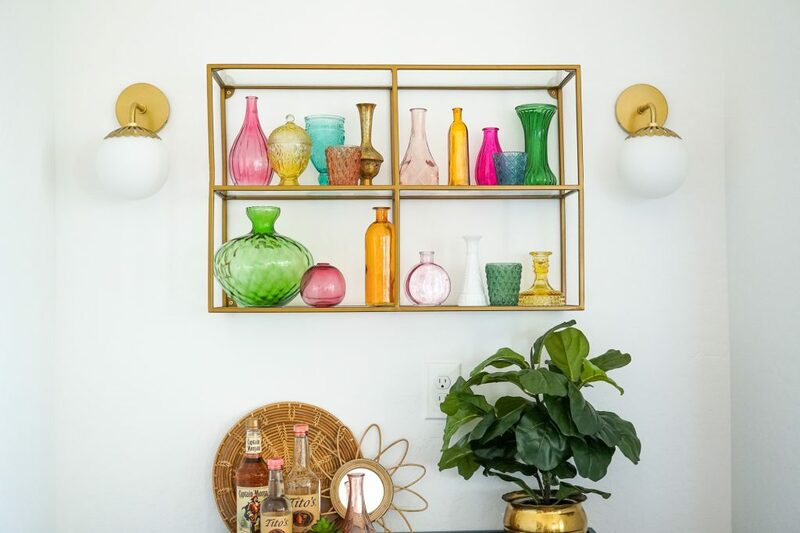 I set a up a small bar cart, a shelf with my colorful glass collection and flanked it all with two of the Paige wall sconces in the same aged brass finish. 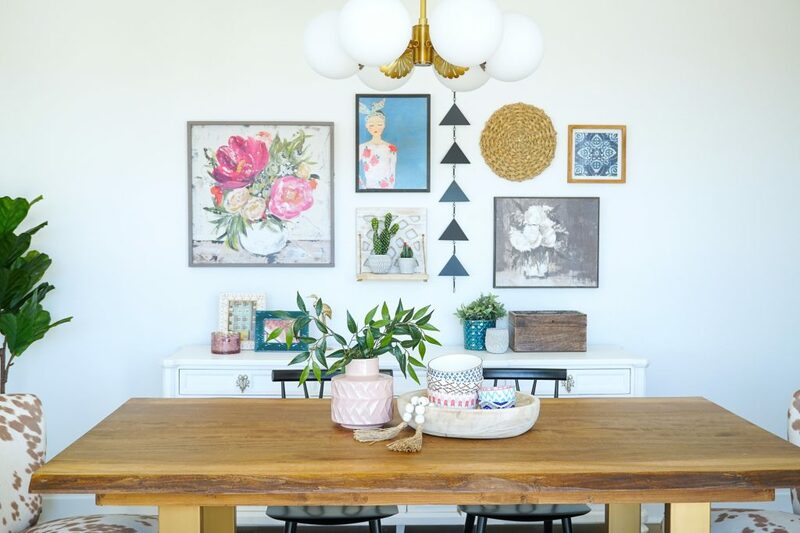 It’s amazing what can happen to a space with the right lighting fixtures! 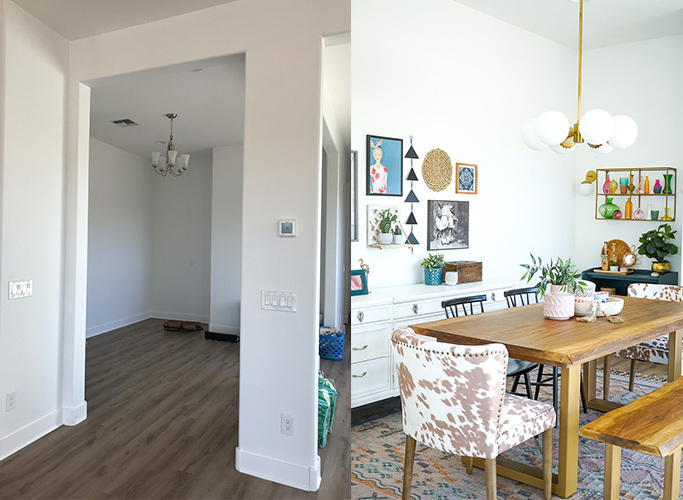 I am so happy with the way this space turned out. Later this week I will share our master bathroom reveal with some more Mitzi Lighting!